Here are the best 7.1 surround sound headphones that deliver superb sound quality for music and gaming. These headphones are developed with built-in acoustic drivers that can project sound from multiple directions, giving the impression of a wider soundstage. 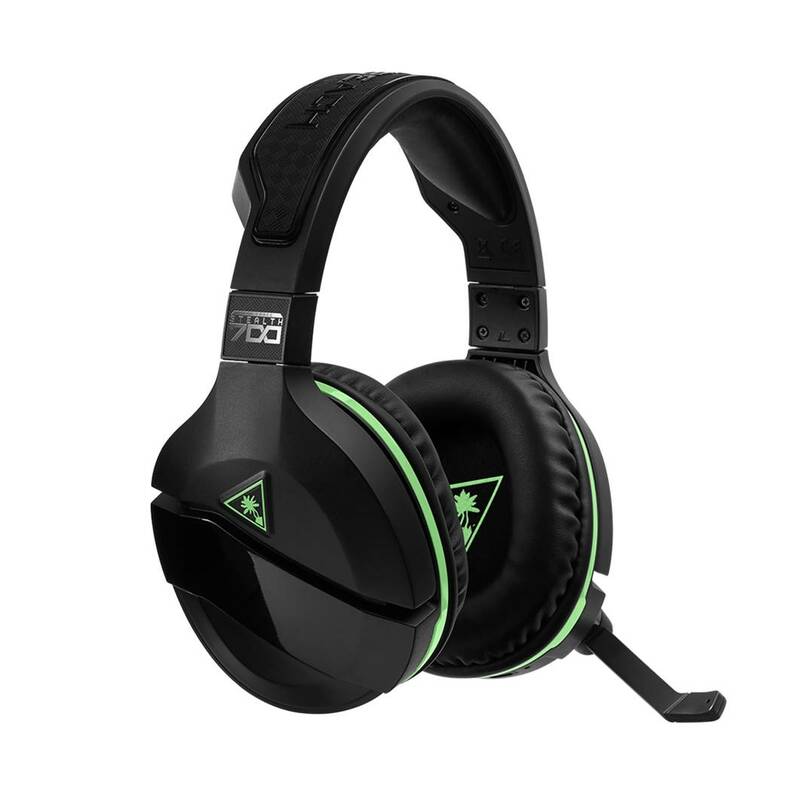 They are perfect for gamers who want to be able to listen to DTS sound quality and experience in-game sound effects from multiple directions. Furthermore, these headphones are very comfortable to wear and made from lightweight materials, so you can listen to music for long periods of time without feeling fatigued. These surround sound headphones also come with a built-in microphone for hands free calls and rotating ear cups for easy adjustment. If you are looking for some of the best surround sound headphones, be sure to check out our top picks below! The Logitech G430 is one of the best surround sound headphones that delivers true Dolby 7.1 surround sound. These headphones are designed to provide you with an immersive 360 degree sound field that lets you hear sound effects that you might not have noticed before. The G430 headphones are built primarily for comfort with a lightweight design and soft sport cloth ear cups with a 90 degree swivel for maximum comfort and a personalized fit. These headphones are foldable with a noise-cancelling boom mic which reduces background noise for clear voice pick up and rotates up and out of the way. The headphone can be connected to your PC directly via auxiliary or USB card (it requires use of the included USB sound card) and enhances the immersion of your ears in the audio performance. The headphone itself has an impedance of 32 ohms with on-cable sound controls and a volume dail and mute switch for quick audio adjustments. 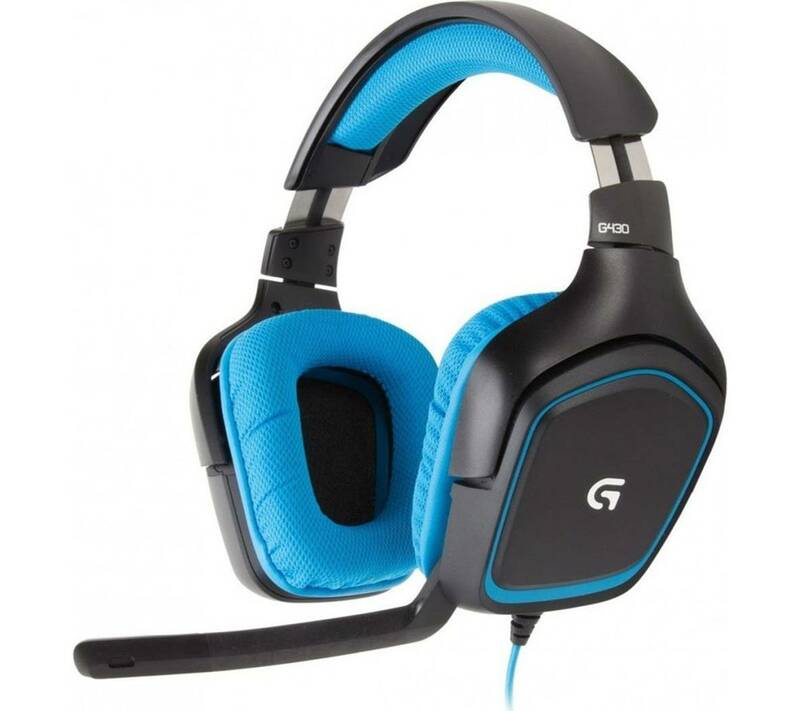 The Logitech G430 works with PS4, Windows 10 and most Windows computers, and has a sensitivity level of 90dB SPL/mw. The headphone frequency response is 20 Hz to 20 kHz and a microphone pickup pattern frequency of 50 – 20 kHz. Overall, it’s one of the best surround sound headphones that we tested and highly recommend them. 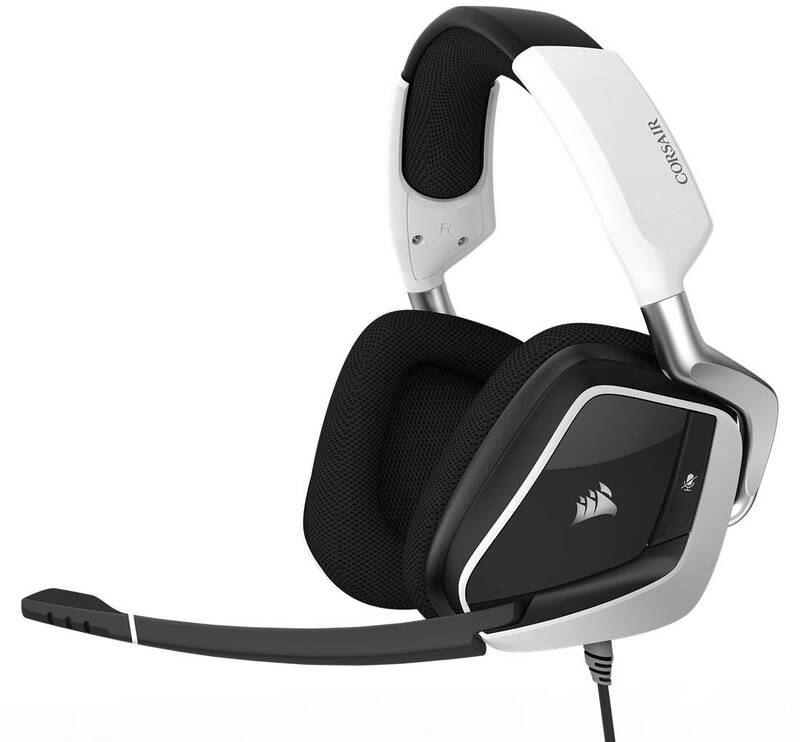 The CORSAIR headphones are surround sound headphones that deliver full-range 7.1 sound performance. They are very comfortable to wear, and come equipped with microfiber mesh fabric and memory foam which provides exceptional comfort. It comes with a USB type A connector that can be plugged into PC devices or portable headphone amps. The CORSAIR headphones have a rigid build quality which is made from durable materials – it has a frequency response between 20 Hz to 20 kHz and a sensitivity of 38 dB. The sound performance from the CORSAIR headphones is crystal clear, with low-latency wireless audio from its custom tuned 50mm neodymium speaker drivers that delivers great sound accuracy. It also comes with a built in microphone with a frequency response between 100 Hz to 10 kHz. We liked the fact that these surround sound headphones deliver wireless audio for up to 40 feet range and up to 16 hours of continuous battery life. It has an optimized unidirectional microphone with LED mute indicators that reduces ambient noise for enhanced voice quality; the microphone is also easily stowed and muted by pushing it up. The headphone is compatible with PC computers running windows software. It also comes with a built in battery that provides up to 16 hours of continuous music playtime and RGB lighting controls with CUE software for unlimited color options. Overall, it’s a surround sound headphone that delivers great quality and we highly recommend them. 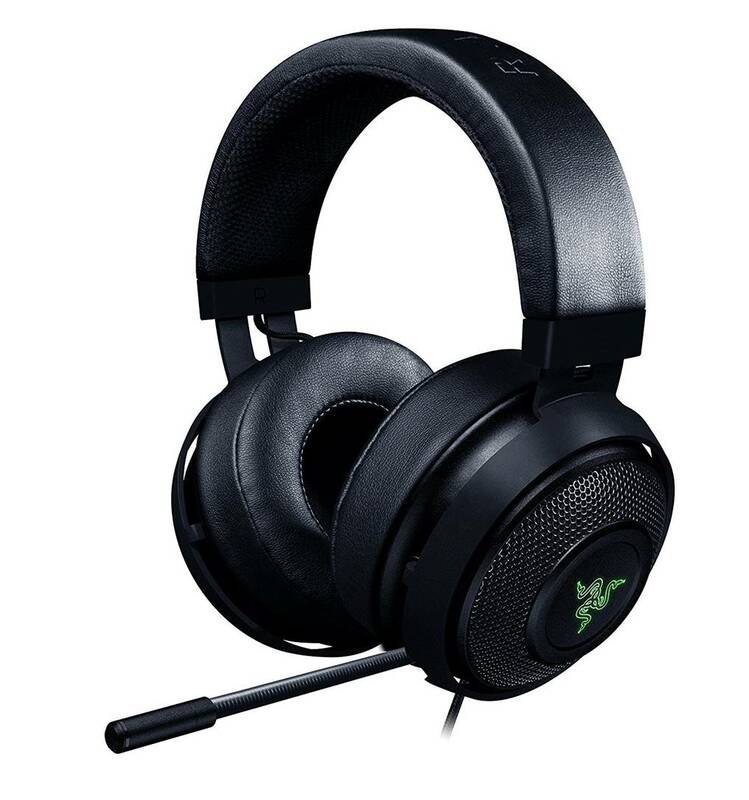 The Razer Kraken is one of the best surround sound headphones with a sleek and modern looking design. It comes with built-in advanced 7.1 virtually surround sound that immerses your ears in the game sound effects with pinpoint accuracy and spatial imaging. 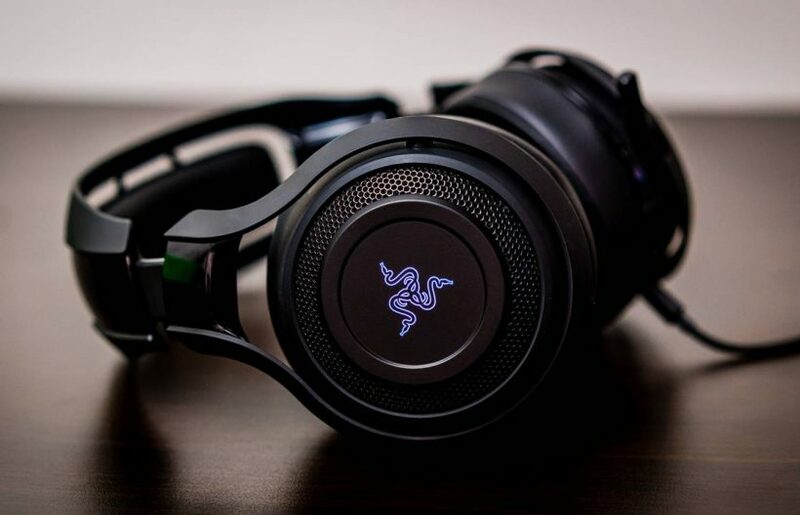 The Razer Kraken headphones are designed to deliver louder and clearer sound quality – they are fitted with large 50 mm drivers which are custom tuned for balanced and crystal clear in-game audio performance. We also liked the fact that it comes with a fully retractable microphone with active noise cancellation which ensures crystal clear communication with noise cancellation technology support. These headphones are lightweight and durable and made of bauxite aluminium which makes them flexible and comfortable on the ears. The headphones also come with oval ear cushions which are designed for full-ear coverage and perfect for long periods of wearing time. The sound quality on the Razer Kraken is crisp and sharp, and delivers well balanced highs and midranges. We could hear almost every single detail in the music and environment sound effects coming from the left, right, center and behind. They provide a realistic soundstage and sonic imaging when paired with a decent PC sound card. Overall, it’s a surround sound headphone that delivers good value for money and we definitely recommend them. 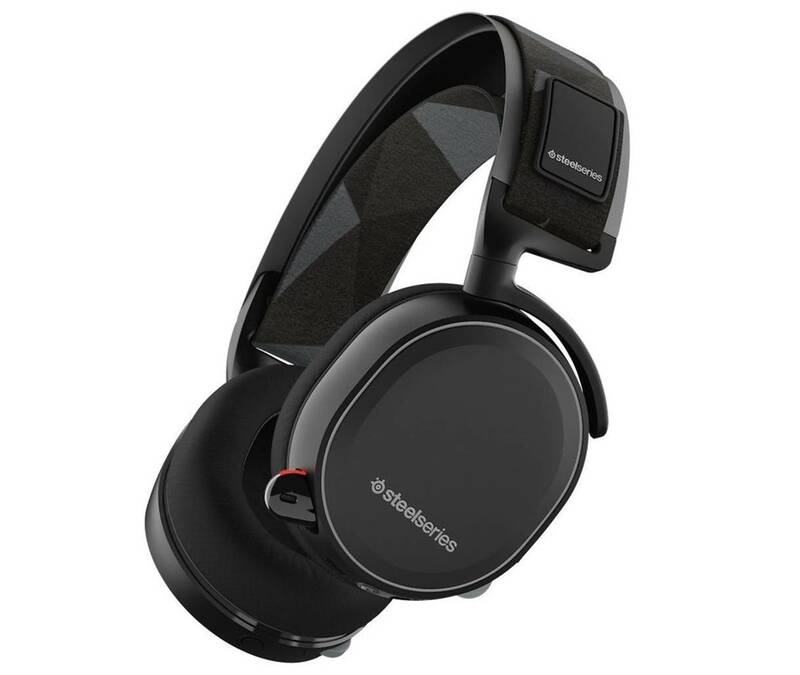 The Steel Series Arctis is one of the best surround sound headphones designed to provide lag-free 2.4 GHz wireless audio with up to 40 feet range. These headphones are capable of pumping out crystal clear sound with DTS 7.1 headphone surround sound support. It comes with a built-in battery life of 24 hours and a microphone which provides studio-quality voice clarity and background noise cancellation. The headphone has a sensitivity of 98 dB and a very wide frequency response from 20 Hz to 20 kHz, which means that you can pick up details in the music which you might not have heard before. The Arctis headphone feature is athletic inspired and features AirWeave ear cushions and a ski goggle suspension headband for lasting comfort. The headphone volume controls are conveniently located on the ear cups for easy adjustment. We liked the fact that the Steel Series Arctis headphones come equipped with S1 audio drivers that are engineered to produce detailed and balance soundscape with ultra-low distortion at high volume levels. The wireless transmission is lag-free and we did not experience any lip-sync issues while playing games or watching movies. The ski goggle suspension band perfect contours across your entire head which comfortably distributes the weight and eliminates pressure points for a comfortable listening experience. The headphone also comes with an included 4-pole 3.5mm cable to connect to any non-USB devices such as Xbox One and Nintendo Switch. 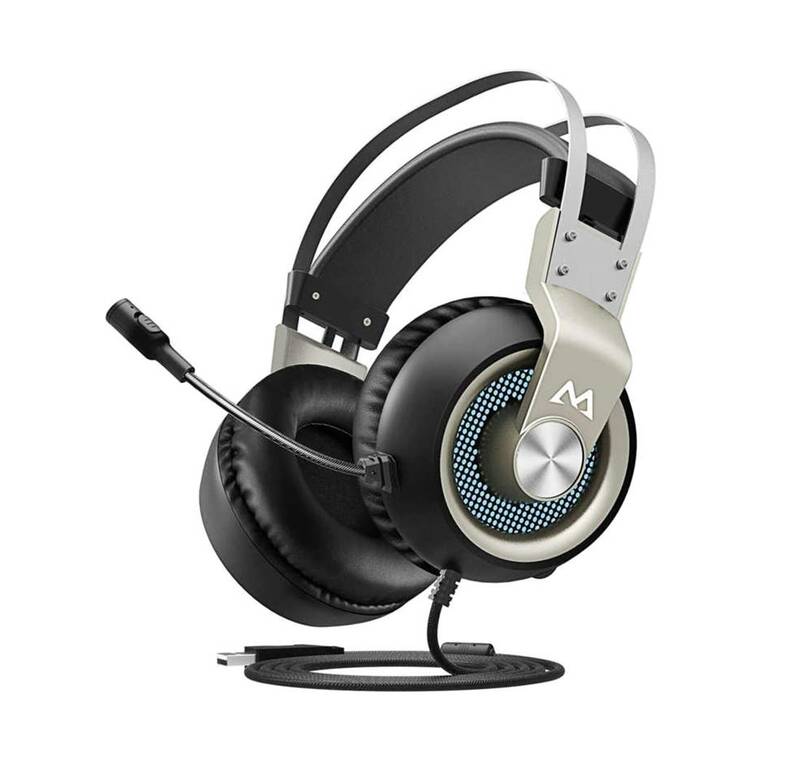 The Mpow EG3 are some of the best surround sound headphones that are multi-platform compatible – they support PC, PS4 consoles and devices with USB audio support. 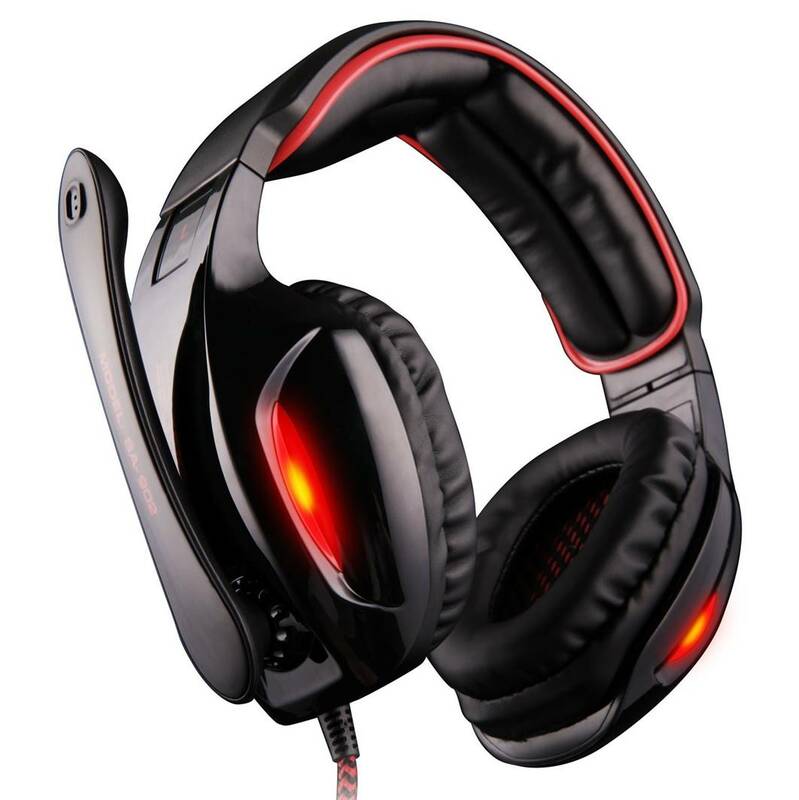 These headphones are engineered to deliver virtual 7.1 surround sound (software download required) and advanced 50mm drivers which are suitable for FPS game lovers. It delivers an immersive 360 degree sound field that allows you the ear environment sounds with great clarity. We tested these headphones and they work very well for games such as Call of Duty, Destiny 2 and Fornite, with crystal clear vocals, dialogues and in-game sound effects. When connecting to PS4, do remember to plug the USB port to the PS4 console. The good thing about the Mpow EG3 is that they feature a lightweight and comfortable metal frame design which is crafted to provide comfort for long-gaming sessions. It also comes with unique tension controls to adjust the tightness of the headphone for your personal fit. These headphones come with soft memory foam earpads which blocks outside sounds and keeps your ears cool. We liked the omin-directional and flexible microphone on the EG3 headphones that allow you to adjust volume with a mute control housed on the microphone shell with a volume wheel on the ear cup. The headphones have a wide frequency response of 20 Hz to 20 kHz and an impedance of 32 ohms. 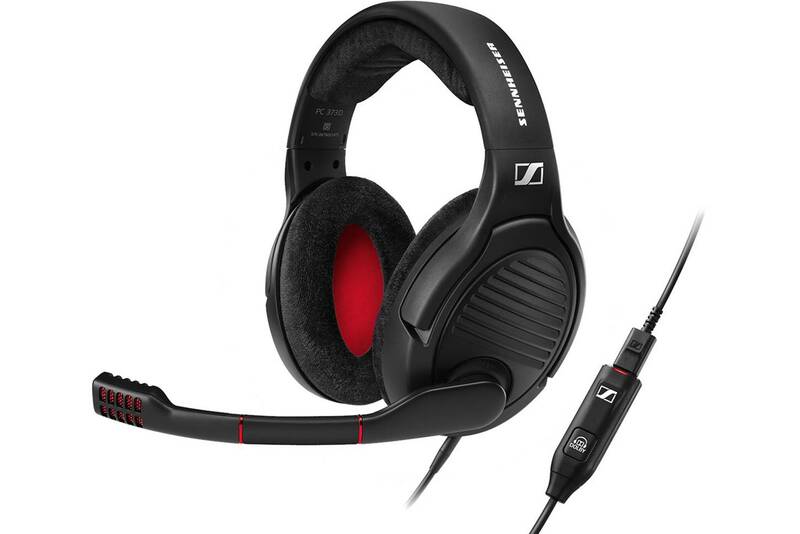 The Sennheiser 373D are some of the best surround sound headphones that provide Dolby 7.1 surround sound with full in-game effects. The headphones come with Sennheiser transducer technology that allows you to hear every detail in the game with pristine clarity. Vocal performances are reproduced with crisp and vibrant tones, with the midrange frequencies are present and felt throughout. You can hear in-game sound effects such as the sounds of wind rustling and raindrops in every direction. We liked the fact the Sennheiser headphone comes with a USB soundcard dongle which provides spatial realism to enhance your gaming experience. The headphone itself is very comfortable to wear, and comes with breathable plush velvet ear pads to keep your head cool during long gaming sessions. The Sennheiser 373D headphones come with a professional noise-cancelling headphone that allows for crystal clear in-game chat. We also liked the fact that the headphone has customizable surround sound software that allows you to reshape the sound according to your preferences – you can choose between four different equalizer settings to adapt the sound to your preferences. The over-ear design with XL velvet ear pads reduces ear fatigue after prolonged periods of wearing. Overall, the Sennheiser 373D surround sound headphones provide exceptionally clear HD sound and highly recommend trying them out. The SADES Spirit Wolf are surround sound headphones that provide impactful and immersive sound performance with deep punchy bass. The acoustic drivers are positioned and designed to deliver maximum sound impact on your ears, so that you can be fully immersed in your game while hearing the surrounding effects. The SADES headphone has glaring and breathing LED lights designed on the earcups and microphone which adds to the atmosphere of the game. Furthermore, the SADES headphones are designed for comfortable – all the contact points are finished in soft and durable materials, and the updated memory foam around each ear-cup keeps you comfortable for long periods of time. The line is also equipped with a rotary volume controller and microphone mute which are convenient to use. The SADES Spirit Wolf comes with a high sensitivity microphone which is crystal clear and well-grounded, and allows you to communicate with teammates without any noticeable distortion or lag. The headphone is compatible with a wide variety of devices including PC, laptop and computers. The headphone design is also noise isolating and helps to block out backround noises effectively. The headphones have a wide frequency range between 20 to 20 kHz and features sound displacement technology by 3D virtual 7.1 sound decoder chip to achieve 7.1 channel effects. The headphone connects directly to PC devices via the USB input cable. If you are looking for surround sound headphones with stylish features and great sound, the SADES Spirit Wolf is definitely a great choice. The Turtle Beach Stealth 700 are surround sound headphones that provide dynamic surround sound with powerful 50mm speaker drivers. These large and powerful 50mm over-ear speakers produce crisp highs and deep lows which feel very good to listen to. The headphones allow for direction connect from your headphone to your gaming console without any wiring or adapters – they can pair wirelessly via Bluetooth without any additional setup. The sound quality on the Turtle Beach 700 is crisp and clear, and provides immersive virtual surround sound that allows you to pick up sounds that you might not have noticed before. We also liked the fact that it features active noise cancellation technology which blocks out unwanted background noises and distractions, so you can stay fully immersed in your games. Apart from its powerful 50mm speaker drivers, the Turtle Beach Stealth surround sound headphones are very comfortable to wear and feature a synthetic leather-wrapped headband and ear-cushions. It has a flip-up microphone which picks up your voice loud and clear, and automatically mutes when flipped. The headphone has an independent game and chat volume control, and dynamic chat boost functionality which automatically increases your incoming chat volume over game audio so that you can hear your teammates clearly. It also has mic monitoring technology so that you can hear the volume of your voice inside the headset. Overall, the dynamic sound performance and wireless streaming makes the Turtle Beach 700 headphones some of the very best available with full surround sound performance. The MSI DS502 7.1 surround sound headphones are gaming headphones that deliver crystal clear audio with crisp highs, detailed midranges and good bass performance. The headphones come with two enhanced 40mm drivers for quality audio and improved noise reduction. The MSI headphones have enhanced virtual 7.1 surround sound with a 7.1 virtual speaker shifter – it also features a nice environmental reverb that adds a distinct flare while gaming. We liked the fact that the DS502 gaming headphones are ergonomically designed to feel comfortable on your head and ears for extended gaming sessions. Furthermore, these headphones are fully adjustable and come with closed cups with plush padding to ensure a comfortable fit while listening to music. The DS502 have two large 40mm drivers with a wide area of dispersion and provides crystal clear highs, midtones and low-frequency details. The MSI DS502 comes with an omnidirectional microphone that provides crystal clear audio reproduction with balanced natural sounding tones with little background noise pickup. The ergonomic design is lightweight and unobtrusive, and also features a 10-band equalizer which allows you to adjust the sound according to your preferences. The headphones go comfortably over the ears and produces adequate noise isolation to block outside noises from entering. We particularly liked the design of these headphones together with the red color padding which gives it a sleek appearance. 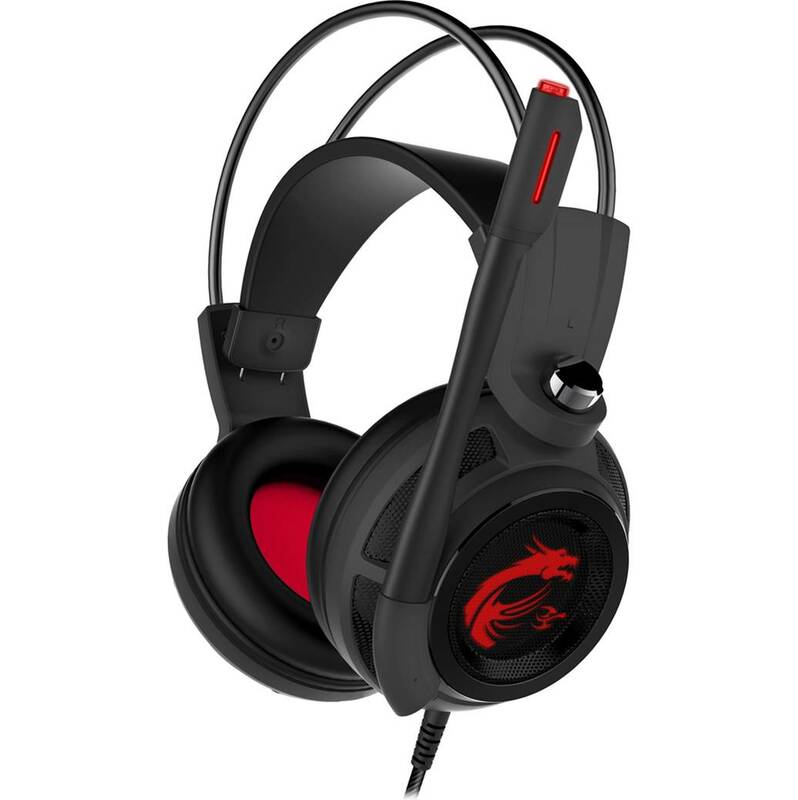 If you are looking for surround sound headphones on a budget, the MSI DS502 are a great choice. The Sades SA902 are surround sound headphones designed for comfort and full-range sound quality. The headphones feature wide compatibility with a range of devices including PC, Mac, laptop and computers, as well as audio devices with a USB port. The Sades SA902 delivers 7.1 virtual surround sound with separately adjustable levels that can be adjusted according to your listening preferences. It also comes with a smart mute button and in-line volume controls which are designed for hand control. The Sades headphones are essentially plug and play – you can plug it into the USB port and it will automatically play surround sound. You can also download the driver for 7.1 surround sound. The entire headphone is packaged ready for instant use and enjoyment. 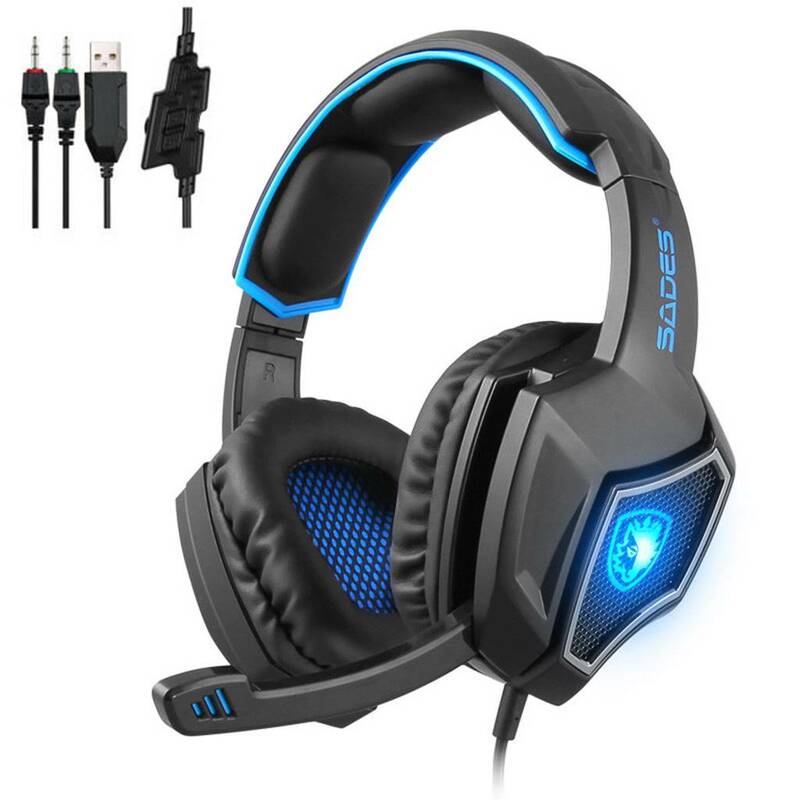 We particularly liked the fact that the Sades SA902 come with comfortable ear cushions and reinforced headband which provides hours of gaming comfort without causing any ear fatigue. The ear cushions are soft and gentle on the ears, and does not exert too much clamping force. The closed ear-cups covers your entire ear and cuts out external sound effectively. It also has nice LED lights which adds to the gaming atmosphere for these headphones. The headphones come with a microphone that swivels 160 degrees and can go down all the way or parallel with the headphone arc. The cable is made with nylon protection and the USB connector is solid. There is also a controller unit that sits on the cable and offers basic sound adjustment options. Overall, these are surround sound headphones that provide good sound and lasting comfort, and we highly recommend them.